The holiday season has a habit of sneaking up on us; while many of us aspire to start our holiday crafting early to avoid the mad dash in November and December, even the most organized folks probably have a few last-minute gifting emergencies pop up. At the Woolery, we'd like to make everyone's holiday just a little bit merrier with some helpful tips and easy project ideas for quick gifts to make for your loved ones. 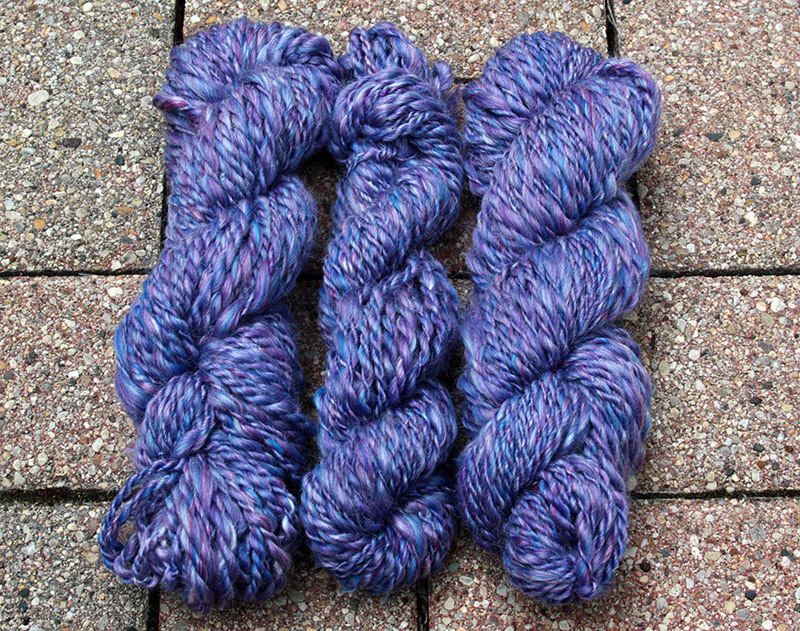 Tip #1: Gift your handspun! Those of you who participated in Spinzilla last month might have an overabundance of handspun yarn on your hands - perhaps one of your crafty friends would like to receive a special skein that's as unique as they are? Tip #2: Injury-Free Needle Felted Ornaments. 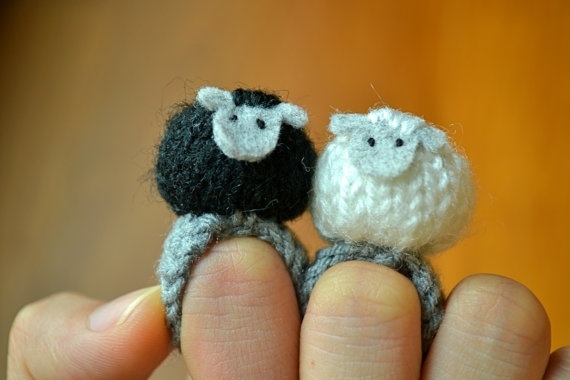 Tiny needle felt projects make great ornaments for your tree, but it is quite easy to miss the wool and accidentally poke your finger in the process! 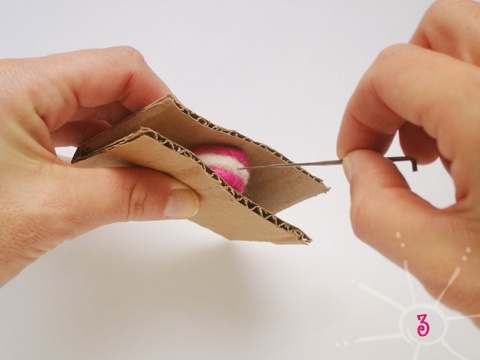 We spotted this clever trick for working on small needle felt projects on Pinterest without injuring yourself. You'll have plenty of festive felted ornaments in no time flat! Tip #3: Prepare for gifting emergencies. If you finish your regular holiday projects early, work on building a stash of extra gifts you can use for any surprise gifting situations. For example, coasters and wine bottle cozies make excellent hostess gifts and can be knitted, crocheted, or woven fairly quickly with just a small amount of yarn. Even if it's too late to make an emergency gift stash for this holiday season, consider starting one for 2014. Come this time next year, you'll be glad you did! Tip #4: Think Small. Tiny projects to knit or crochet (such as those from Mochimochiland) have cute cachet! Tiny toys make great ornaments, keychains, magnets, or jewelry - you can also use them as part of the gift wrap. Other small projects such as miniature stockings or mittens are also quick to make and sure to please. Tip #5: Upcycle. Finding a new purpose for everyday items is not only eco-savvy, it can result in some memorable gifts! We've spotted tutorials for turning old t-shirts into yarn for use in crocheting baskets or making stylish rugs and mats on Pinterest - items which will certainly be appreciated (and used) by the recipient. 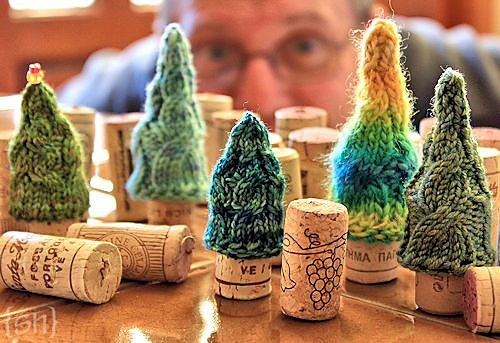 Here's another fun project idea: if you happen to have a lot of leftover corks on hand, these festive miniature trees would make great party favors! Tip #6: Make crafty cards! 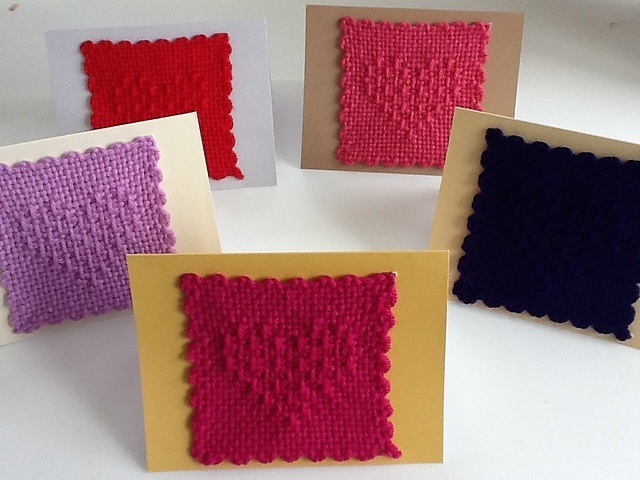 This clever yet simple idea we spotted on Ravelry is a great way to put your Zoom Loom squares to good use. Create a set for your recipient to use throughout the year, or mine your stash for cheery yarns to make unique holiday cards for everyone on your list! May your holidays be crafty, festive, and most of all....stress free!